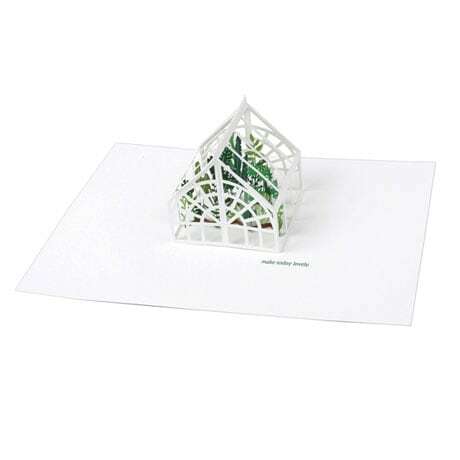 Say goodbye to garden-variety greeting cards when you send encouragement and good wishes via our exquisite 5"x7" Pop-Up Greenhouse Card. 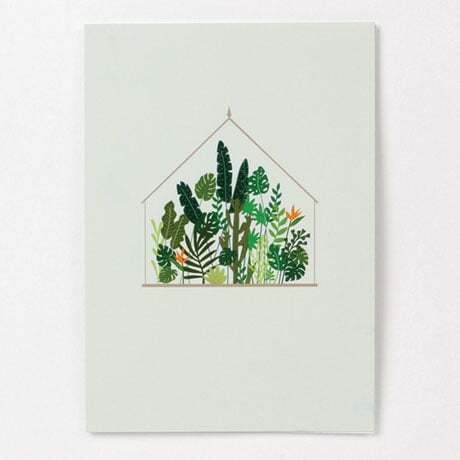 The pale-green, gold-foil-embellished note card is oh so pretty when closed. Open it and watch a 3D greenhouse rise before your eyes, its delicate frame sheltering a hothouse display of cacti and emerald fronds. A simple yet heartfelt greeting—"make today lovely"—can be supplemented with your own handwritten message to brighten the mood (and mailbox!) of someone special. Envelope included.